Tropical Storm Harvey continues to threaten lives and property in Texas and Louisiana. Harvey hit the Gulf Coast as a category three hurricane over the weekend and the slow-moving storm is expected to continue for the next several days with more devastating rains and flood waters. 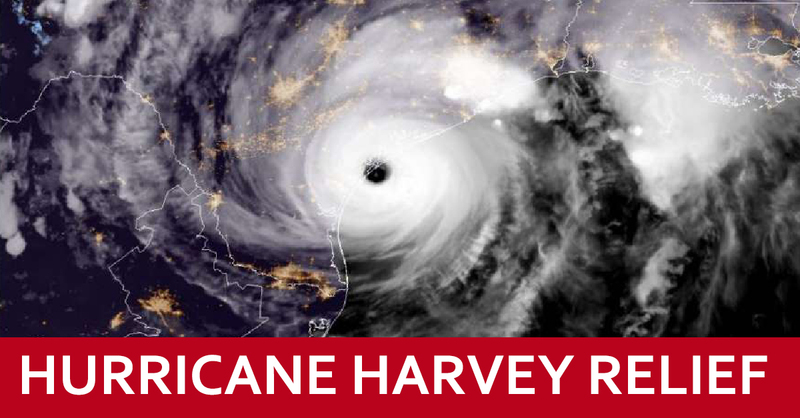 Residents affected by Harvey need our help with food, water, medicine, temporary shelter and other support. Please consider making a small donation to one of these emergency relief organizations so that the people affected by this massive storm know we in Connecticut are with them in heart, mind and spirit. Stamford-based Americares, the American Red Cross and the Salvation Army are all accepting donations in response to this catastrophic and historic emergency. Click on any of the links above to learn how you can donate and to see what’s being done to get help to our brothers and sisters in the affected states. You can also call the numbers indicated to donate or for more information.